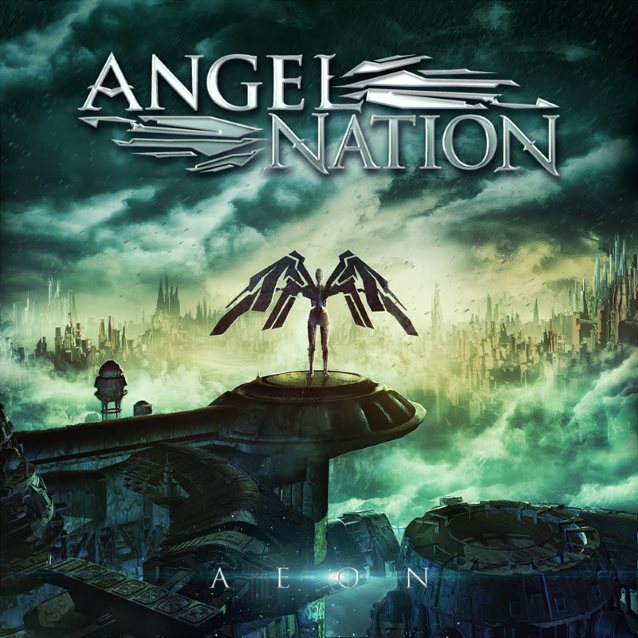 The official lyric video for the song “Breathe Again” from the female-fronted melodic metal band ANGEL NATION can be seen below. The track is taken from the group’s new album, “Aeon”, which will be released on October 27 in Europe and North America via Inner Wound Recordings. Their debut album — released in 2014 under the name ENKELINATION — “Tears of Lust”, was received with glowing reviews all over the world. Shows at Bloodstock Open Air and Finland followed before Elina joined LEAVES’ EYES in 2016 as that band’s new vocalist. “Aeon” continues the musical diversity that Elina likes to express in her songwriting. The unique blend of retro and modern sounds is developed even further with this album. The power of metal and rock combined with Elina‘s ethereal-yet-strong-and-emotional vocals create the perfect platform for stories of both earthly and otherworldly she likes to create with her lyrics. The album features a guest appearance by Jukka Pelkonen (OMNIUM GATHERUM) on vocals and the artwork was created by Darkgrove Design (APOCALYPTICA, DELAIN, LEAH).